Existing literature on financial intermediation amply emphasizes its criticality for economic growth. It is a well-known fact that the financial system of a country has a key role in the development process of its economy, for financial intermediaries translate national savings into investments. Till the late 1980s, the Reserve Bank of India, led by the planning philosophy of the country, played an active role as the initiator, promoter, and regulator of different financial intermediaries, such as scheduled banks, development financial institutions, non-banking financial companies, capital markets, money markets, etc. However, this practice of a state fostering and developing a financial system, has taken a paradigm shift since the early 1990s. 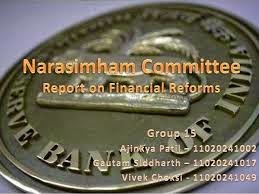 As a sequel to the appointment of the Narasimham Committee, our financial system has been witnessing a gradual liberalization strategy for the last 14 years. The reforms have essentially focused on interest rate deregulation, reduction in reserve requirements, entry deregulation, credit policies and prudential supervision. As a result, the structure of the Indian banking system has undergone drastic changes—nine new private banks have entered the market; foreign banks have started opening new branches; corporate houses have started tapping global financial markets for capital at low interest rates, etc. Today, the Indian banking system consists of five categories of commercial banks: State-owned banks with a market share of 31%; nationalized banks with 48%; old private banks with 7%; new private banks with 6%, and foreign banks with a market share of 8% (all as on 2000-2001). Against this backdrop, the article, “Financial Intermediation under Reforms in India: Evidences from Scheduled Commercial Banks”, examines if the reforms launched since 1991 have improved the performance of intermediaries in the country. The paper observes that subsequent to reforms there is a perceptible improvement in the intermediation process, and this development, to a certain extent, confirms the common belief that removal of administrative controls would improve capital allocative efficiency of banks. It, however, expresses its anxiety over the declining credit deposit ratio, and especially, the declining share of credit towards productive sectors like agriculture, industry, infrastructure, etc., and the increasing share of credit towards personal purchases, such as home loans, loans for consumer durables, etc. The authors argue that although such personal loans may fuel growth, particularly when the industry is suffering from excess capacities coupled with low market demand, disbursement of credit for productive purposes is required for sustaining employment generation. The article, therefore, proposes that financial intermediation should be encouraged to provide more credit to productive sectors. There is also a need to redefine the role of banks afresh to make their intermediary function more effective. The second article, “Private Sector Banks—A SWOT Analysis”, attempts to measure the efficiency of private sector banks in India under four parameters: Efficiency, financial strength, profitability, and size and scale. Each of these parameters is given an equal weightage of 25% and the banks are ranked against all the factors chosen under each parameter. For instance, the parameter, ‘efficiency’, is measured as a composite of cost of funds, ratio of intermediation cost to total assets, burden, business per branch and operating profit per employee, thereby giving 5% weightage to each. The authors, based on the analysis of variance for each of these four factors, have ranked the private sector banks using their overall performance and found that there is a significant difference in the average efficiency of these banks at 5% level. However, the study is weak, it ranked the banks independently for each year of study, i.e., 2002, 2003, and 2004. It has the scope for further research to rank the banks, based on their performance under important parameters over a long period of four to five years. Against this backdrop, the article, “ ‘CAEL’ Ratings and its Correlation to Pricing of Stocks—An Analysis of Indian Banks”, assessed the performance of Indian listed banks with CAMEL ratings, and analyzed the relatedness of CAEL rating with banks’ stock performance. The study analyzed 26 Indian listed banks—private and public, and found that according to the average composite score, only one public sector bank, the Corporation Bank and one private sector bank, the Kotak Mahindra Bank fall under composite rating ‘I’, indicating that they are sound in every respect, and any weaknesses, if present, are minor which can be handled in the normal course. Four private sector banks have fallen under rating ‘II’, indicating that they are fundamentally sound and whatever moderate weaknesses are present can be managed by the board of directors. As many as 18 banks have fallen under the composite rating of ‘III’, indicating a degree of supervisory concern in one or more of the component areas owing to a combination of weaknesses that may range from moderate to severe. The paper also provides a strong evidence that CAEL reflects stock prices. Among the individual components of CAEL, the correlation between P-E scores and capital adequacy ratio, net advances to net deposit ratio and cash deposit ratio, was found statistically significant. The reforms, besides generating disintermediation and internationalization of financial markets, have also caused technological advancement in the Indian banking industry. The ongoing automation in the banking industry begs for evaluation of its efficiency, not only for affecting the cost of operations, but also to see whether technology is perceived by the customers as delivering real benefits. The article, “A Study on the Level of Customers’ Satisfaction on Various Modes of Banking Services in India,” attempts to provide an answer to these questions by conducting a study among hundred randomly selected account holders of ICICI Bank in Chennai, through personal interviews, tele-calling and e-mail over a period of four months from April to July, 2004. A questionnaire was used to conduct the survey. To increase the reliability of the data, a structured pattern of questions was used for preparing the questionnaire. Judgment sampling was adopted for the study and each respondent was assigned a numerical number. The study has used the statistical technique—discriminant analysis—for analyzing the data. The findings indicate that the new internet-based banking services have enhanced the level of satisfaction among bank customers. The author is of the opinion that Internet literacy is the major factor underlying the online banking penetration in India. Another interesting revelation of the study is that the online reach of transactional banking is not likely to result in the mass market. The study, however, has a lacuna—it is confined only to Chennai. It is desirable to compare the customer satisfaction levels of the same service provider, at different geographical locations, and compare that with those of other banks as well, to measure the countrywide impact of IT as an enabling tool for better financial intermediation. Thus, it throws open new lines of research.